With 20+ years of culinary experience in establishments such as the Bayview Golf & Country Club, Toronto Police Association, Toronto Chef Company and Marriott / Renaissance Hotel (Rogers Centre), Chef Michael Rogal leads the Dinner & Company kitchen brigade. Red Seal Certified Chef Michael Siu has worked in the culinary industry for the past two decades in establishments such as the former Toronto celebrity hub ULTRA Supper Club, La Maquette Restaurant (Sous Chef), Marriott / Renaissance Hotel & Rogers Centre (Banquet Chef), Terroni Restaurant (St Clair), Toronto Chef Company and Taro’s Fish (Bayview Village). As manager of D&CO. Restaurant inside VW/Audi Head Office Canada, Roxie utilizes her 11 years of experience as a manager at Sobey’s Grocery Store to ensure the success and growth of D&CO. Foodservice & Catering. With over 5 years of experience in catering and restaurants, Corey is constantly expanding his talents in the culinary industry. 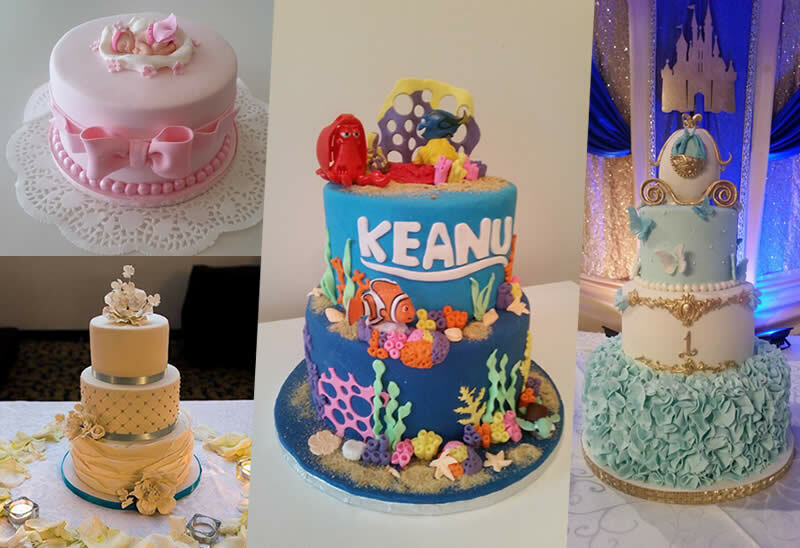 Classically trained with over a decade of experience, Pastry and Dessert Chef Alexandra makes every cake and dessert with the highest regard to detail, quality and artistry.